The Baudelaire orphans have a lot of stories left to tell on Netflix. The streaming giant has confirmed the book-to-series adaptation of Lemony Snicket's A Series of Unfortunate Events will return for a second season, with a 10-episode order. That's up two episodes over Season 1, but it's apparently down to some of the later books being longer, so it makes sense. Who does not want additional installments? The show was a hoot! The above photo was uploaded on the show's official Twitter page. It confirms that the renewal, but also casts doubt on how well the story will play out. Geez, those kids sure need guardians who are not out to kill them. 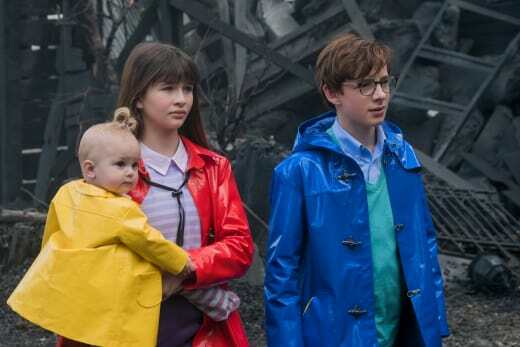 Season 1 followed the Baudelaire orphans as they adapted to a life without their parents, who perished in a house fire. They had little time to grieve before being thrust into the care of Count Olaf. The man did not love the children. All he loved was the idea of spending their huge fortune. In fact, he threatened them with murder if he did not get his hands on the money, so the children tried desperately to evade his wrath. All it resulted in was more loss of life and the poor little things on the run. We left off with the children arriving at Prufrock Preparatory School and meeting the two surviving Quagmire siblings. 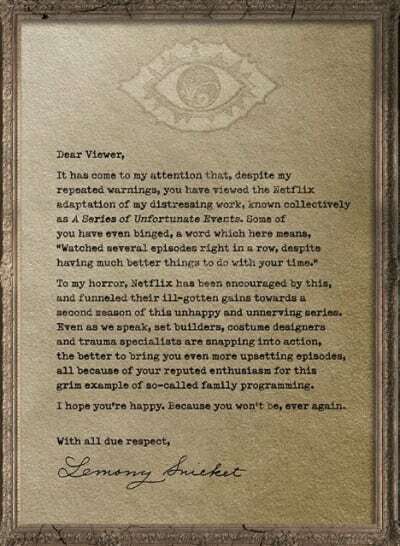 In addition to the picture, Netflix also dropped a fun video with a coded message confirming the renewal. Do you love the show just as much as we do? Have a look at the teaser and hit the comments with your thoughts on Season 2!